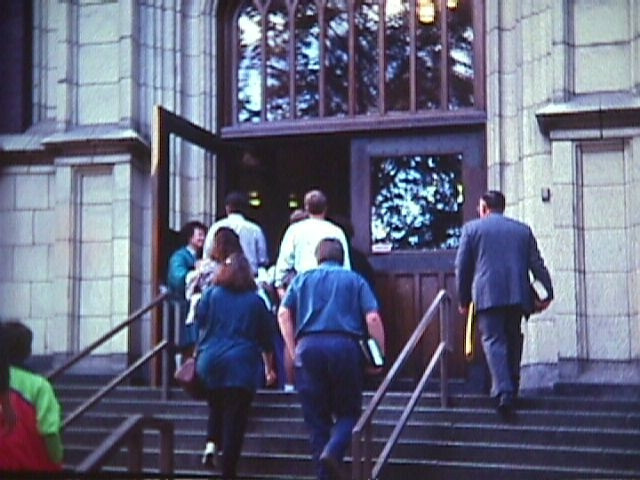 On September 13, 1992, in the dimly lit auditorium of Spokane’s venerable Lewis & Clark High School, a new light for the Gospel of Jesus Christ came to life. With a rock-solid commitment to biblical authority, a zeal for evangelism and an emphasis on training future leaders for ministry, Faith Bible Church began growing as a “Family of Families” devoted to magnifying Jesus Christ. The excitement of those early days, affectionately referred to as the “Wagon Train Days,” saw the growing congregation of more than a 1,000 respond with creativity and flexibility when rentable facilities were not available – even using Riverfront Park for worship services for a month one summer! 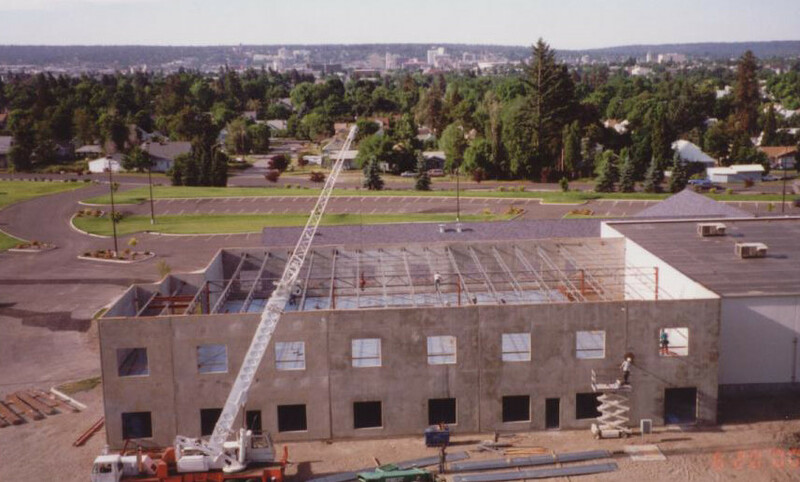 After moving to North Central High School in 1994, FBC’s impact for the gospel began reaching far beyond the Inland Northwest. FBC was invited by the Slavic Gospel Association of Chicago and the Russian Baptist Union in Moscow to assist in organizing and operating a “Bible Institute” in Krasnoyarsk, Siberia. The one-year institute in 1994 was the first of eight during the next decade that included institutes in other parts of Russia and Kazakhstan. More than 125 Russian men have been trained thus far, with the majority of them now serving as pastors in their homeland. Through a series of timely “coincidences” God opened the way for FBC to build a functional ministry center on a large tract of land near Corbin Park in the vicinity of the historic Garland District. We moved into our new digs in January, 1997, and built the “Education Wing” in 1999 to accommodate the growing student ministries. FBC’s emphasis on training men for ministry from within the local church body through vigorous intern and resident programs has born significant fruit for the larger church of Jesus Christ in America. In addition to most of our own pastors, pastors at several evangelical bible churches from California to Wisconsin are led by godly men who first learned to work for the gospel here at FBC. Our desire to reach the lost in Spokane led to a new church in the city of Spokane Valley. Christ our Hope Bible Church held its first worship services in February, 2005 and is now a beacon for the gospel in an area with relatively little genuine Christian witness. Our purpose is clear: to make disciples of Jesus Christ who worship whole heartedly, who labor to help others grow spiritually, who speak the Gospel in every sphere of life, who partner in Gospel ministry around the world, and who serve in and outside the church. Our worship services are centered on an audience of One. Uncompromising, expository preaching and a blended music style are focused on building up believers in the faith and clearly proclaiming Christ crucified to unbelievers. Read more about our history in this 25th Anniversary article.